Royal Caribbean finds itself in a very uncomfortable position and is receiving a lot of negative publicity in the headlines news worldwide. Most people do not think lightening can strike in the same spot twice, but sadly for an elderly couple, it did. Their sad story has caught the attention of the American Embassy in Turkey and U.S. Senators. Jill and Dodge Melkonian, 89, were on a cruise ship last April when a fire ignited. To compensate them for their troubles, Royal Caribbean offered them a full refund and a free trip, which they took a few months later. Jill and Dodge are not novice travelers. They have visited nearly 200 countries and have been on more than 30 cruises. While aboard the Royal Caribbean’s Azamara Journey (the trip offered to them as a consolation for the previous cruise that resulted in a fire), Dodge Melkonian fell and broke his hip. “I had just gotten to sleep, and I heard him scream and my husband takes a lot of pain — he doesn’t even use a needle for dental work — so I knew he was in trouble,” recalled Jill Melkonian. Dodge was treated promptly for his accident aboard the cruise ship. However, his injury was too serious and he required more specialized medical care. The Melkonians had bought medical traveler’s insurance through Royal Caribbean and were near a small town, Bartin, on the coast of Turkey. Dodge and Jill were taken to the local hospital there, but Jill insists they were not as lucky as they thought. As she watched her spouse in increasing pain in a foreign country, Jill felt despondent. She called her travel agency, Elite Travel. "Nobody was there physically with them from Royal Caribbean. They basically left them, and that was it,” said Tammy Levent, owner of Elite Travel. A local tour guide by the name of Okan Kutlu was called and essentially rescued Dodge Melkonian and his wife Jill. He donated his very own blood and coordinated a transfer for Dodge to a much larger hospital in Istanbul nearly six hours away. "We helped arrange transportation via ambulance to the closest area hospital. Once ashore, we worked closely with the travel medical insurance company because they have the expertise to deal with local authorities and medical facilities. … One of our care team specialists is still in contact with them today." Many disagree that this was enough including Sen. Bill Nelson, Democrat for Florida, "What we’ve communicated to the cruise line is that we expect you to make them financially whole," he said. "It is not right to treat an elderly couple like this." Jill says this will not keep them from cruising in the future but they will be more knowledgeable about their medical travel insurance coverage and where it comes from. CBS reported on this case and News travel editor Peter Greenberg explained, "In this particular case, they bought the medical insurance from the cruise company — Royal Caribbean Cruise Lines — and they do provide basic care, and if you look at what happened here, they performed to the letter of the language in that particular policy. They stabilized the patient; they got him off the ship and took him to the nearest medical facility. That was not enough, and that is the key issue here. 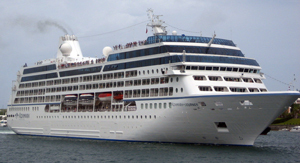 Should you buy the medical insurance from the cruise company? I advise that you do not. You want to go to a third-party medical insurance company that does not have the same language in its policy as the cruise lines have in theirs." His advice to travelers like the Malkonians is to purchase a medical travel insurance plan from a third-party and through a travel agent.